A puppy is a like a new member to our family, when we get a puppy we get a ton of responsibilities and things that play a huge role in how our dog will behave as it grows. Dogs can be aggressive, shy or very friendly and any of those three are connected to the environment the puppy lives in. We are going to talk about a few tips to make sure your puppy is not afraid of the world. Once the puppy is part of our family, and the animal knows the environment and has all vaccines, it's time to walk out to the street. We can boast of dog freely but always with a series of care to prevent the spreading of parasites and avoid excessively polluting areas that may affect their health, such sites can have other animals that can carry viruses and can be transmitted to our dog. It is important that you trained your dog as soon as possible to get used to all situations that are possible outside because if a dog has never seen another dog, a car or has heard a certain noise once the time comes your dog would be frightened. It's not recommended that you keep your puppy in the house all day because your puppy could be easily frightened by any noise that doesn't recognize. In its first months of life, we must encourage socialization. We recommend visiting different sites. Training can be done one day at a time. For example, one day taking your dog on a car ride, another day among many people, another day among other animals and so on. When you reach this well-socialized adult dog your dog will be without fears, psychologically will live a more comfortable life and be more willing to play, learn and interact with its owner. Keep in mind that training your dog, especially as a puppy takes time. You must have a patience, keep in mind there are those who are unable to take care of their dogs because they don't have the time or don't want the responsibility. You should only have a puppy if you can provide a positive environment and have the time and resources to make sure that dog becomes more than just a pet in your family. Bringing a new puppy into the household is always an exciting and fun time. Everyone wants to play with, cuddle and hold the little ball of fur. The last thing on the minds of most new puppy owners is training the new addition, but it is important that puppy training and socialization begin as early as possible. Socializing a new puppy is a vital part of any training program, and it is important for socialization to begin early. The window for socialization is very short, and a puppy that is not properly socialized to people, dogs and other animals by the time he or she is four months old often never develops the socialization he or she needs to become a good canine citizen. One great way to socialize your puppy both to new people and new dogs is to take it on a trip to your local pet store. Many major pet store chains, and some independent ones as well, allow pet parents to bring their furry children, and these stores can be great places for puppies to get used to new sights, sounds and smells. Of course you will want to make sure the store allows pets before heading over. Learning how to interact with other dogs is something that normally would occur between littermates. However, since most dogs are removed from their mothers so soon, this littermate socialization often does not finish properly. One vital lesson puppies learn from their littermates and from the mother dog is how to bite, and how not to bite. Puppies naturally roughhouse with each other, and their thick skin protects them from most bites. However, when one puppy bites to hard, the other puppies, or the mother dog, quickly reprimand him, often by holding him by the scruff of his neck until he submits. The best way to socialize your puppy is to have it play with lots of other puppies. It is also fine for the puppy to play with a few adult dogs, as long as they are friendly and well socialized. Many communities have puppy playschool and puppy kindergarten classes. These classes can be a great way to socialize any puppy, and for handler and puppy alike to learn some basic obedience skills. When socializing puppies, it is best to let them play on their own and work out their own issues when it comes to appropriate roughness of play. The only time the owners should step in is if one puppy is hurting another, or if a serious fight breaks out. Other than that the owners should simply stand back and watch their puppies interact. While this socialization is taking place, the pack hierarchy should quickly become apparent. There will be some puppies who are ultra submissive, rolling on their backs and baring their throats at the slightest provocation. Other puppies in the class will be dominant, ordering the other puppies around and telling them what to do. Watching the puppies play, and determining what type of personality traits your puppy has, will be very valuable in determining the best way to proceed with more advanced training. As the socialization process proceeds, of course, it will be necessary to introduce the puppy to all sorts of humans as well as all sorts of puppies. Fortunately, the puppy kindergarten class makes this process quite easy, since every puppy gets to interact with every human. It is important that the puppy be exposed to men, and women, old people and children, black people and white people. Dogs do not see every human as the same. To a dog, a man and a woman are completely different animals. It is also important to introduce the puppy to a variety of other animals, especially in a multi pet household. Introducing the puppy to friendly cats is important, as are introductions to other animals the puppy may encounter, such as rabbits, guinea pigs and the like. If your household contains a more exotic creature, it is important to introduce the puppy to it as early as possible, but to do it in a way that is safe for both animals. It is often best to start by introducing the puppy to the smell of the other animal. This can be easily accomplished by placing a piece of the animals bedding, like a towel or bed liner, near where the puppy sleeps. Once the puppy is accustomed to the smell of the other creature, he or she is much more likely to accept the animal as just another member of the family. Socialization is the process whereby a puppy learns to recognise and interact with other individuals of its own species, with people of different ages, races and genders, and with other animals that she is likely to come into contact with, such as cats and horses. The dog will learn the skills necessary to communicate with and interpret the other animals' intentions, thus avoiding unnecessary hostilities. The dog will also learn to cope with stress and will suffer less as an adult in stressful situations. When talking of socialization, we often include habituation, that is, getting a puppy used to different places, sights and sounds so that she becomes confident in new situations and gets used to as many different stimuli as possible. 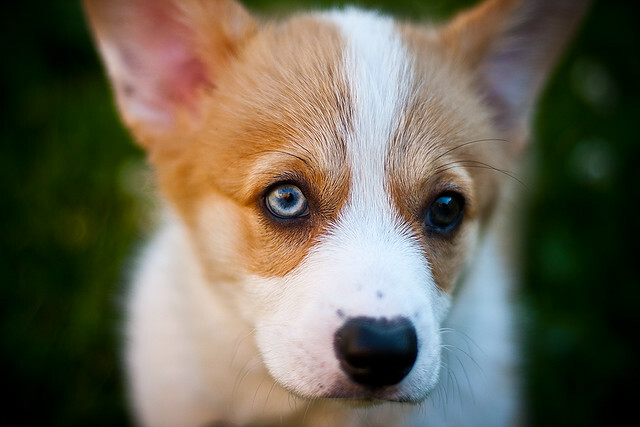 There are certain periods in a puppy's development that are more important than others. The most sensitive socialization period begins at around 3 weeks of age and begins to reduce by 12 weeks. Peak sensitivity is between 6 and 8 weeks of age. It is important to remember that many young dogs need continual social interaction to maintain their socialization and failure to do so will mean that they regress or become fearful again. The 6-8 month period is another sensitive time for socialization and owners and trainers can use this window to further habituate and socialize their puppy to different surroundings, people and animals. When socializing your puppy, you must evaluate your lifestyle and environment and assess what situations are lacking. For instance, if you live in the country, take your puppy to town and gradually and carefully let her become accustomed to crowds of people, noise and traffic. If, however, you live in a town and these things are no problem, take your puppy to the countryside so she can see and smell farm animals and become accustomed to them too. Make sure your dog meets some cats who are dog-friendly. Don't let her chase them as this will start a life-long habit that will be difficult to change. If your household has no children, introduce your puppy to some children who can regularly play gently with her. Always supervise them to ensure the children are gentle and that your dog is responding well and not becoming nervous or aggressive. Remember always to protect your puppy's health, before she is fully vaccinated. Don't put her down on the ground where there may be dog urine or faeces, and don't let her interact with other dogs that may carry disease. You can still socialize your puppy by carrying her into different situations and taking her in the car, allowing her to see many different things in a safe environment and she will get used to trips in the car at the same time. Use treats and praise to reinforce good behaviour. Do not comfort your puppy if she is fearful as this can be interpreted as praise for the wrong behaviour. Simply change the situation (i.e. ask an approaching person to step back or pick up your puppy to get her out of a difficult situation) until she feels safe and secure once more. The average life span of teacup dogs is around 12 to 15 years, sometimes even longer. Generally, teacup puppies weigh 2-4 lbs and measure 8 inches or less during maturity. However, breeders usually keep teacup pups under their supervision during the first 12 weeks. This way, they will be eating sufficiently when they are transferred to their new home. Unfortunately, changes to environment may cause a great amount of stress for teacup puppies. He may react negatively when leaving all his friends, traveling to his new home, meeting his new owners and changing routines. When he experiences stress, he will seem uninterested in playing and act extremely tired. Most of the time, the teacup will have unusually weak knees when standing and running. If you notice such symptoms, he may lose his appetite due to sugar low. When stressed, teacup puppies become prone to having low blood sugar. If your pup doesn’t eat often or enough, he may experience a sudden drop in blood levels. However, most teacups should outgrow this problem when they reach 4 to 5 months. Many breeders recommend adding a teaspoon of Karo syrup in his drinking water to prevent hypoglycemia to puppies that are not eating sufficiently. For teacup owners who are out most of the day, Nutrical is a high-calorie nutritional supplement recommended for puppies with an increased risk of hypoglycemia. By simply giving them a doze each morning and bedtime, you can ensure that your puppy is safe from experiencing low blood sugar even if you’re not at home. A suggested dose is around ¼ to 1/3-inch of Nutrical combined with appropriate Karo syrup until your teacup puppy reaches four or five months. 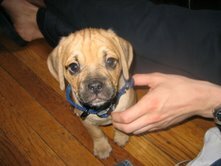 A common misconception about hypoglycemia treatments for teacup puppies is that owners should ALWAYS feed their pups with sugar water, baby food and Nutrical. Unfortunately, feeding your pups without quality dog food is a very dangerous practice. According to various breeders, any teacup puppy that needs to be fed with sugar water, soft foods and nutrical is not ready to go to any buyer. Most of the time, these puppies are sickly or underage. In years past the normal way of getting your puppy would be looking in your local newspaper, calling the breeder, picking it up and taking it home. Those days are long past since the age of the Internet. The Internet has brought a new way of purchasing your puppy. It has opened up more avenues and more choices then the local paper could ever hope to offer. At any given time of day or night you can browse through the pet web sites and have a choice of color, size or breed as well as the locale the puppy you are looking at. The question you may have in your mind is that if you are looking at a puppy where the breeder is located in California and you live in New York, how I will get my new baby home. There are a few different avenues however there is one way that is best above all of them. 2. 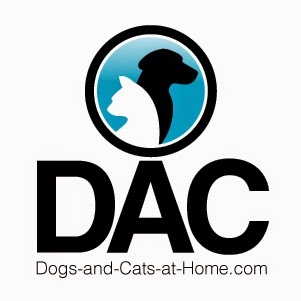 Commercial transportation that specialize in transporting pets directly to your door. 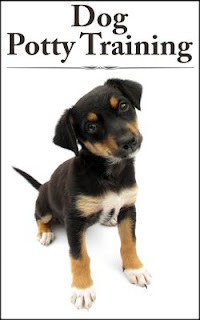 Some breeders for a small fee will bring your puppy right to your door. This gives you a chance to meet the person you are buying from as well as personal service. However there are some high risks to be aware of if you choose this method. Depending on where you live could make all the difference with this choice. Puppies driving in cars for long periods of time can get car sick, throw up all over the place and refuse to eat. Some will even refuse to go to the bathroom. Depending on the size of the puppy you are buying this could spell disaster especially if you are buying a Yorkie or a Maltese. The tinier the puppy being transported it also raises the risk. They can develop hypoglycemia; keel over and kick the bucket in just a matter of hours. Even if the puppy survives the trip the affect may still be seen days later. Some may want to blame the breeder for the puppy being sick but it may not be the case. Most will choose this method of transport if available; however a word of caution should be given when using this method. Commercial transportation is another way to bring your new baby home. This service can be contacted by the breeder or the buyer to be set up. The cost is usually around five hundred dollars or less and they will bring your baby right to your door. Usually several weeks advance noticed will be needed if you intend on using this method. What they do is they get a list started of all their potential stops and carefully map out the route that will save the company the most time and expense. If you don’t happen to be within the vicinity they may not be able to fit you in and you may have to wait until the next trip or not at all. The drawbacks of course include the time it takes your puppy to get there when they get on the road. Once your puppy is on the way, it could take up to 3-7 days for that new baby to reach your doorstep. With this way of transport you are also dealing with the same problems with personal delivery but there are more. There is not just one puppy traveling but possibly twenty or more puppies. All twenty puppies in the back of the truck and let’s hope none of them have kennel cough, because your new family member may catch it since it’s airborne. A buyer can have their puppy transported via airplane. Some would not even dream to have there new addition fly on an airplane. This however by far is the safest and quickest way to get your new baby to you. Delta Airlines has a Pets First program in which they offer some direct and quick flights to your local airport. The problem with them if it’s too cold or too hot they can’t ship. During good weather Delta is a good choice however there is another choice if you can’t fly Delta. Continental Airlines is a good choice of flying live animals because everything they do with the puppy for the most part is air and heat controlled, thus being able to ship all year long. In all airlines the puppy is shipped in a special pressurized compartment below the plane. Each puppy is in its own container that the breeder provides which reduces any type of contamination or airborne illness. Most puppies arrive the same day they are shipped. Finally in a few hours your baby arrives at your local airport in which you are eagerly waiting the arrival. All of the airlines have different places where you would pick up your new family member. Some it would be the ticket counter; also you can pick up your baby at the cargo facility and others the baggage claim service office. Your breeder would let you know in advance where to go. Buying a puppy these days is quick, easy and more convenient then ever. A decision will have to be made which way you would like your new baby delivered to you; as you can see above the choice is pretty clear. It is safe and economical costing around two hundred dollars. I have been shipping puppies for about three years now and also have been on the receiving end so I can say from experience, flying your new baby home is the best way.